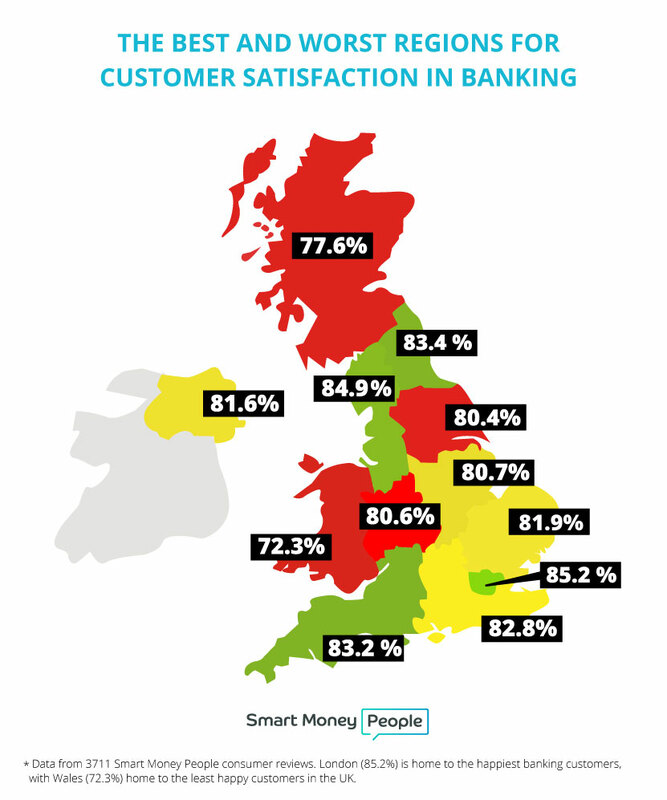 Where do the happiest banking customers live? When we overlaid our customer satisfaction data with population density data (ONS, Dec 2013), we also found weak positive correlation between customer satisfaction and population density. The three regions with the highest population density in the UK are amongst the top five regions for customer satisfaction, London (1st) the North West (2nd), and the South East (5th). The three regions with the lowest population density, Wales (12th), Northern Ireland (7th) and Scotland (11th), all feature in the bottom half when it comes to customer satisfaction. It’s worth noting that while there is high overall satisfaction with the industry, it’s quite clear from our data that consumer expectations of what good banking looks like is still pretty low…but the backdrop is changing. When we started-up at the end of 2014, we set out to reimagine reviews. We knew that consumers liked them, and starting from a clean slate, we’ve created a platform that leverages the review mechanism to deliver industry-leading insight. We’ve come to understand our community’s lifestyle, affluence and channel preferences. We know which financial providers they do businesses with, what products they hold…and what they think about them. While our focus is on leveraging our platform and delivering applied research for financial services organisations, we also use some of our platform’s insight to power some posts that we hope you’ll find interesting.